Sometimes for a wedding photo you need very little light on the bride and groom. For this early December wedding we had a beautiful sunset at Whistling Straits Golf Club in Kohler, Wisconsin. 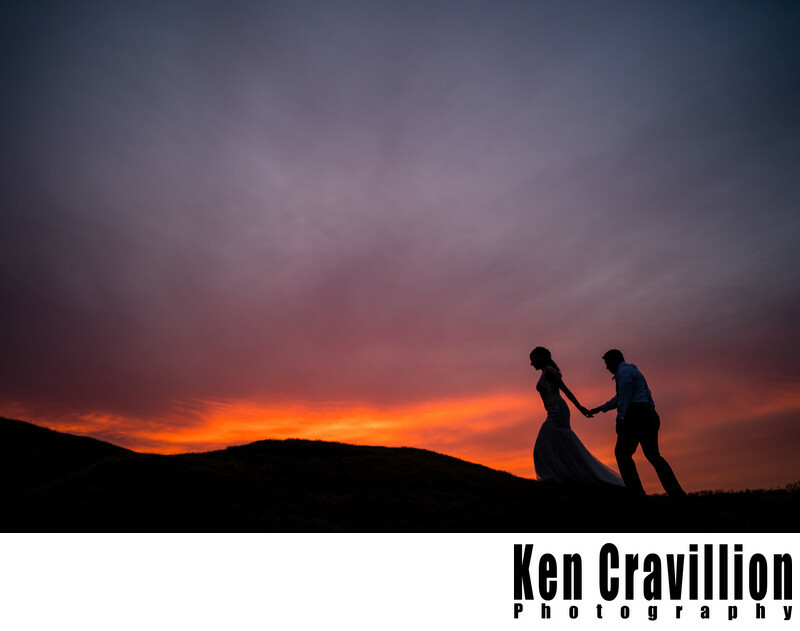 The bride and groom and silhouetted against a colorful sunset. 1/640; f/1.4; ISO 100; 35.0 mm.